To run a successful grocery store that meets the needs of your customers, you must supply the products they want to buy. However, if you use display techniques that tap into the psychology of consumer spending behavior, you can improve your turnover and profits. Shoppers may come to your store with a list of items they need; your displays can encourage them to spend more on items they didn't realize they wanted. Many stores use displays known as "symbolics" close to their entrances, setting an atmosphere for customers as they start to shop. For example, some use displays of fresh produce, freshly cut flowers or baked goods at the point of entry. The smells and visual effects imply freshness and make customers feel good. Once you have customers in your store, you need to keep them there as long as possible. Another popular technique is to keep staple products, like milk and eggs, at the back or side of the store. Shoppers will then have to walk past other displays to get to these items, maximizing your opportunities to encourage them to buy other products. The height at which you display products matters. Prime selling space for most stores is at eye-level on a shelf -- use this for popular items or for products you are promoting. Some stores reserve the space just below adult eye-level for products that appeal to children in the hope they will persuade their parents to buy. Higher and lower shelves typically work well for products that shoppers will search for. Many stores stock higher shelves with premium brands and lower ones with discount items. You should also plan product placement within an aisle. Put popular products in the middle, so that shoppers see other items before they reach the ones they came to buy. The displays at the ends of aisles, known as feature or cap ends, are a good location for promotions, seasonal displays and special offers. Over time, shoppers start to look at these areas as they pass to see if there is anything they want to buy there; it's a good idea to change these displays regularly. Use signage to promote items or deals on any aisle to draw attention to a particular product or offer. You can also bundle related items around a promotion to cross-sell. For example, if have a special offer on ice cream, create displays around it selling sundae glasses, cones and decorations. 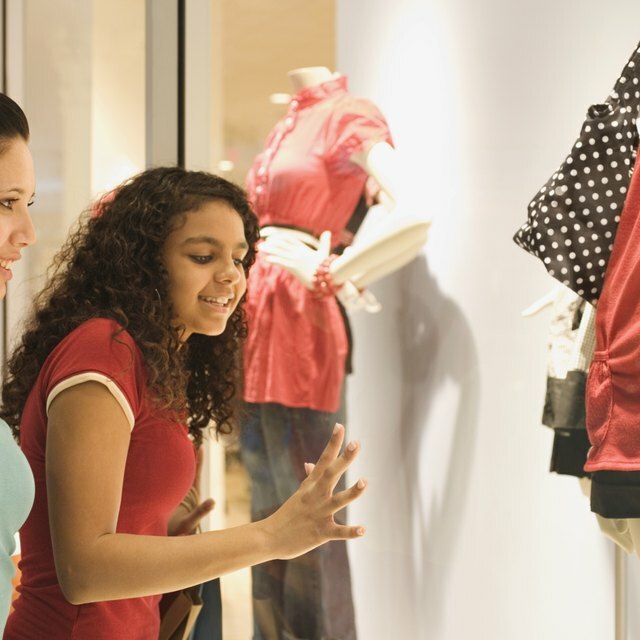 Regular shoppers will quickly learn where their favorite items are in your store and may get into shopping habits that allow them to buy what they need quickly, zoning out whole aisles or display areas in which they know they have no interest. This may reduce impulse buying. You can mix things up by changing product placement and display locations every now and then so that they have to look for items. In doing so, they may also start to notice other products again. Your customers may think they are done shopping when they stand in line to pay, but you have one last chance to capture impulse purchases. For example, you could display racks of candy, magazines or items you have on promotion in your checkout lines. If parents are shopping with children, they might buy them a treat; shoppers might buy magazines if they've started reading them while they've been waiting in line.